CCAC now has access to Films On Demand, the popular educational streaming platform. Supporting all subjects across the curriculum, Films on Demand includes over 30,000 videos from producers like A&E, BBC Learning, California Newsreel, National Geographic, TED, Films for the Humanities and Sciences and many more. Fact Sheet [PDF]. Tip sheet for accessing and using Alexander Street Streaming Video Collection. Some browsers require accepting security certificates before connecting to Alexander Street. Steps for both Chrome & Firefox are below. If you have any problems, email library@ccac.edu. Recommended browsers are Chrome, FireFox and Edge. Some older versions of Internet Explorer are not compatible. 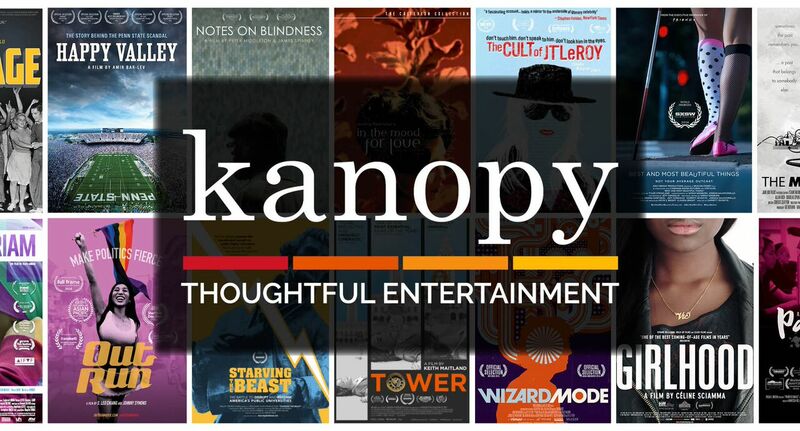 Kanopy provides over 14,000 films, including documentaries, classic films, and thousands of award-winning television programs that cover all subjects across the curriculum.